Need something a little extra special this Christmas? 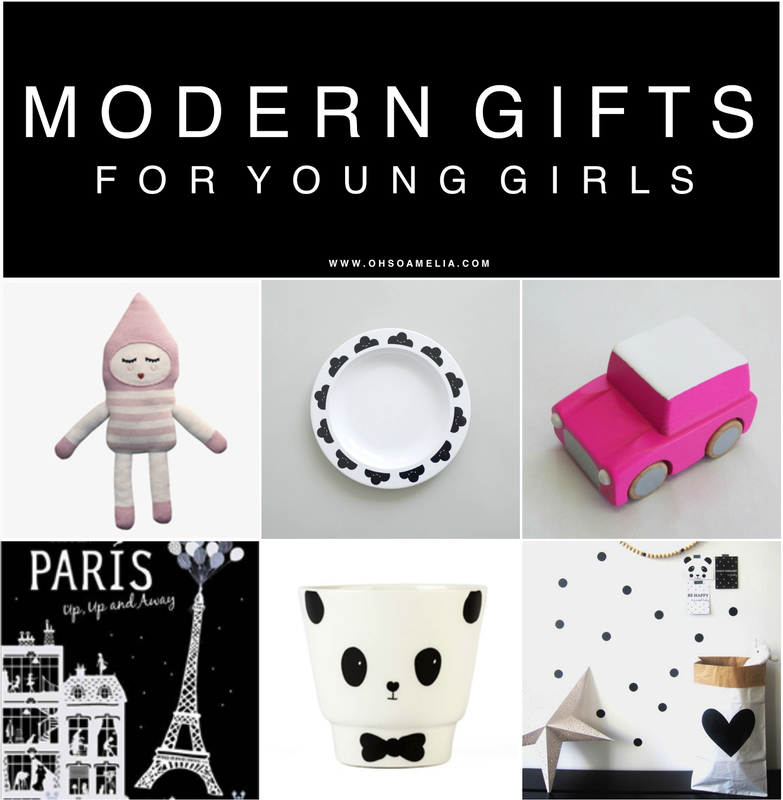 Check out my gift ideas for young girls for the modern family. 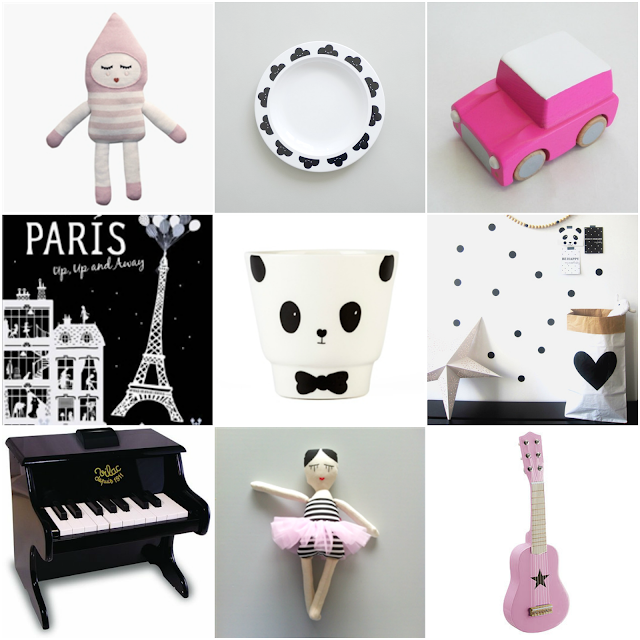 Minimalist and monochrome toys & gifts are in right now especially amongst modern parents. Here are some modern gift ideas for girls below. Some of these are great for boys too but if you're after more ideas check out my monochrome gifts for kids gift guide and stocking ideas for babies and toddlers which I shared last week. Are you a minimalist or into the modern/monochrome trend? Do you like any of the gift ideas above? I want everything for Amelia! Ahh these are beautiful picks. We've just bought my girl her first doll for Christmas so I really love the little wooden doll's crib. I bet my LO would love that! Thanks Jenna. 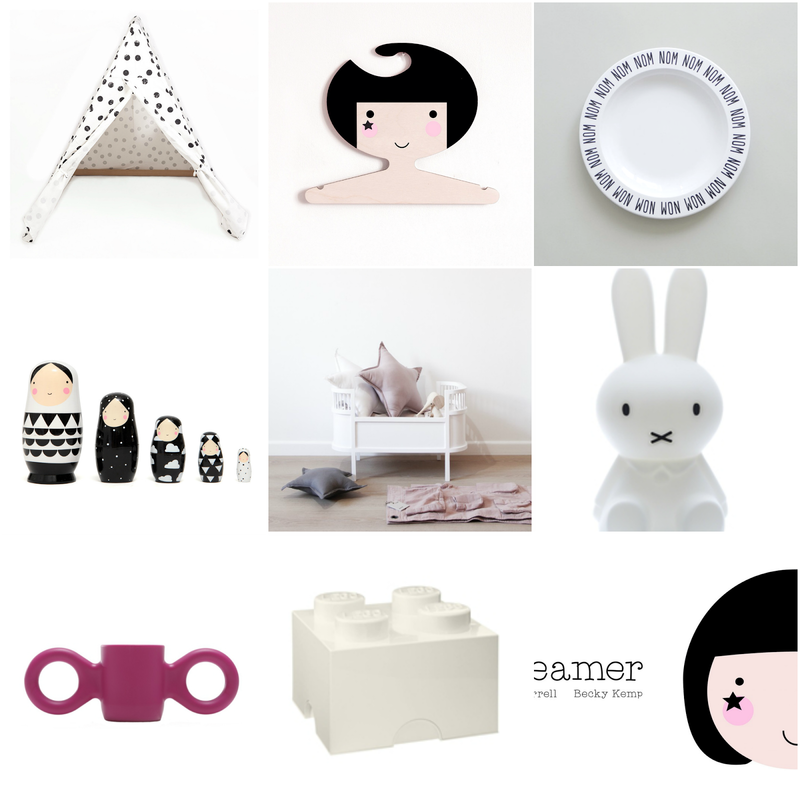 I think I want everything for Amelia ha! Great gift ideas! I do love your monochrome style but my kids love anything purple or blue!! I love the pink guitar myself. Such a great collection of gifts. I saw this on Pinterest before the post! I love the pink car and the Lego storage cube! I love the pops of colour amongst the monochrome! I love the Miffy lamp. Eeek I just love all the monochrome goodness!!! We have the miffy lamp but I have to say the mini piano has been on my wish list ages!! How fantastic! So nice to see something different. The lego box is exactly what I'm looking for. Thank you!